Malika “MotherSista” Madremana is honored to introduce herself in representation of His Imperial Majesty Emperor Haile Selassie I and all freedom fighters in the liberation struggle. Malika Madremana is a Puerto Rican sista, born in New York City and raised in Cali, who has spent a lifetime on stage. Since the age of four, Malika has been singing and dancing in musicals and choirs. As a teen, she entered Performing Arts School to pursue voice. It was at this age that Malika was manifesting a strong consciousness against the system and its wrongdoings. Rastafari manifested in her life shortly after- and reggae music had the greatest impact and influence upon her ever since. Heavily influenced by the legends such as Bob Marley, the I-three’s, Abyssinians, Hugh Mundell, Jacob Miller, etc…she began writing and composing songs. Malika officially began her baptism into the reggae field as a background singer and vocal arranger for a number of prominent and heartical artists. She has toured and performed abroad and internationally with legends such as Wadi Gad, Yami Bolo, Apple Gabriel, the Mighty Diamonds, Mikey Dread, Roots Natty, among many others. Malika has performed at numerous festivals and shows including the Ragamuffin festival in Long Beach, the Sierra Nevada Music Festival, Bob Marley Day Festival, Dreadstock, and the Monterrey Reggae Festival. Livicated to the power of the music and the potential of the stage, Malika began her first album project in 2002 with the talents of producer/artist Blaaklung (Greensphere Records). Their efforts manifested in the album “Healing”, made up of 15 tracks of roots, dancehall, lover’s rock, and rockers cuts that established her as a songwriter and an upcoming artist to watch. Malika Madremana is pleased to bring forth her newest release “Elixir”out of Greensphere Records/Madremana Music. This work was a blessed collaboration of talents and livity including the production of Blaaklung and the tribtutions of artists Batch, Tuff Lion,Vince Black, Kenyatta Itola, and Ras Attitude. Elixir is sure to exemplify Malika’s growth as a vocalist and songwriter. She wrote and co-produced 16 tracks of more roots, rockers, and conscious danehall tunes with uplifting lyrics that are intended to educate, as well as heal, with a smooth and fulfilling sound that’s like elixir to the ears. The year 2007 is wide open for Malika Madremana to continue introducing herself to the world. Look forward to her bringing her “Elixir” for the Healing of the Nations…..
Derrick Morgan (born 27 March 1940, Mocho, Clarendon Parish, Jamaica) is a musical artist popular in the 1960s and 1970s.He worked with Desmond Dekker, Bob Marley, and Jimmy Cliff in the ska genre, and he also performed rocksteady and skinhead reggae. In 1957 Morgan entered the Vere Johns Opportunity Hour, a talent show held at the Palace Theatre in Kingston. He won with rousing impressions of Little Richard, and shortly after that, was recruited to perform around the island with the popular Jamaican comedy team, Bim and Bam. In 1959 Morgan entered the recording studio for the first time. Duke Reid, the acclaimed sound system boss, was looking for talent to record for his Treasure Isle record label. Morgan cut two popular shuffle-boogie sides "Lover Boy", a.k.a. "S-Corner Rock", and "Oh My". Soon after, Morgan cut the bolero tinged boogie, "Fat Man", which also became a hit. He also found time to record for Coxsone Dodd. In 1960 Morgan became the only artist ever to fill the places from one to seven on the Jamaican pop chart simultaneously. Among those hits were "Don't Call Me Daddy", "In My Heart", "Be Still", and "Meekly Wait and Murmur Not". But it was the following year that Morgan released the biggest hit of his career, the Leslie Kong production of "You Don't Know", later retitled "Housewives’ Choice" by a local DJ. The song featured a bouncing ska riddim, along with a duet by Morgan and Millicent "Patsy" Todd. "Housewives’ Choice" began the legendary rivalry between Morgan and Prince Buster, who accused Morgan of stealing his ideas. Buster quickly released "Blackhead Chiney Man", chiding Morgan with the sarcastic put-down, "I did not know your parents were from Hong Kong" – a swipe at Kong. Morgan returned with the classic "Blazing Fire", in which he warns Buster to "Live and let others live, and your days will be much longer. You said it. Now it’s the Blazing Fire". Buster shot back with, "Watch It Blackhead", which Morgan countered with "No Raise No Praise" and "Still Insist". Followers of the two artists often clashed, and eventually the government had to step in with a staged photo shoot depicting the rivals as friends. 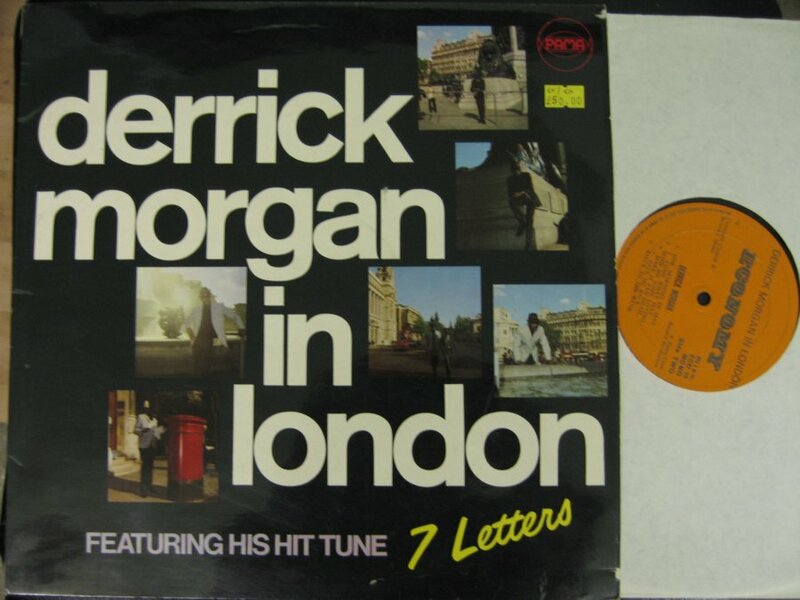 In the mid-1960s, when ska evolved into the cooler, more soulful rocksteady, Morgan continued to release top quality material, including the seminal rude boy classic, "Tougher Than Tough", "Do the Beng Beng", "Conquering Ruler", and a cover of Ben E. King’s soul hit, "Seven Letters". Produced by Bunny Lee, "Seven Letters" is often cited as the first true reggae single. In 1969 Morgan cut the famous skinhead anthem, "Moon Hop" (on Crab Records). However, failing eyesight then forced him to give up regular stage appearances. Morgan still performs occasionally at ska revival shows across the world – often backed by the guitarist, Lynn Taitt. He remained popular in Jamaica and the UK into the early 1970s, and has lived primarily in the UK or the US since the late 1960s. In July 2002 in Toronto, Canada, a two night 'Legends of Ska' concert was held. Reuniting were The Skatalites, Lloyd Knibbs, Rico Rodriguez, Lloyd Brevett, Lester Sterling, Johnny Moore and Lynn Taitt; along with Prince Buster, Alton Ellis, Owen Gray, Lord Creator, Justin Hinds, Derrick Harriott, Winston Samuels, Roy Wilson, Patsy Todd, Doreen Shaffer, Stranger Cole, Lord Tanamo and Derrick Morgan. In 2007 Morgan appeared on the bill at the annual Augustibuller festival. His song "Tougher Than Tough" was featured in the video game, Scarface: The World is Yours. Ijahman Levi has one of the sweetest voices and the most harmonising lyrics of the past few decades. He has sometimes been bypassed by many Roots music lover and often overlooked as a quality international artist. “On A Journey” features two live events, the first in England and the second recorded in France. 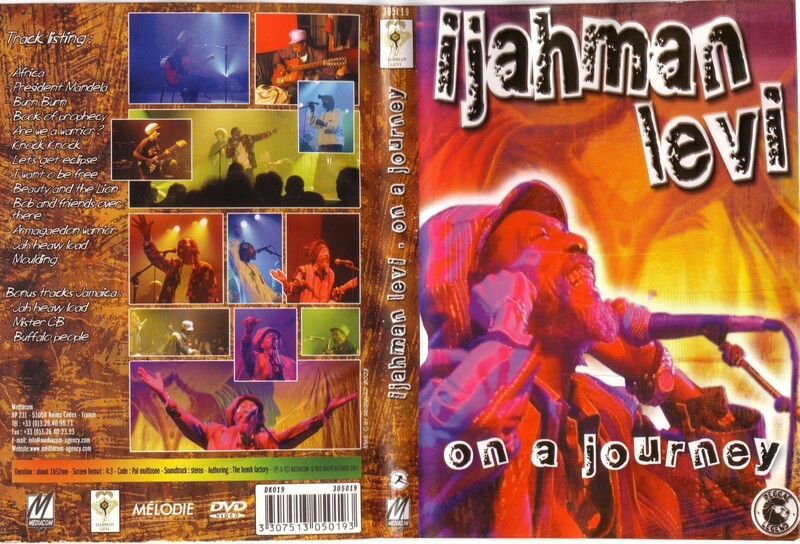 There are also some one-on-one interviews with the man himself, in fact the film opens with Ijahman sitting on his mother’s grave in Jamaica singing “Jah Heavy Load”. You then get a quick tour of his then house before the music starts with the awesome “Africa”, need I say more. There are many top moments from the film, including some of his biggest hits and as always excellent musicianship from Carl and the rest of the band. One of my favourite bits is when we see Ijahman’s 11th child, his new born daughter and the comment is made “InI blessed that Ijahman still has the gift of life”. Having stage managed a UK tour with Ijahman, I understand his philosophy and the hard journey he has had. He is a gentle man that demands nothing except quality from his musicians and your time to listen to his story in musical rhyme. It’s pretty hard to find this DVD in the shops or online but there are a few places offering it, I found it at BlakaMix Shop but cannot vouch for the service, as I was fortunate to get my copy from the man himself. However, if you get the chance it’s well worth it, some seriously thoughtful tunes and a small insight into the quality artist that is Ijahman Levi. 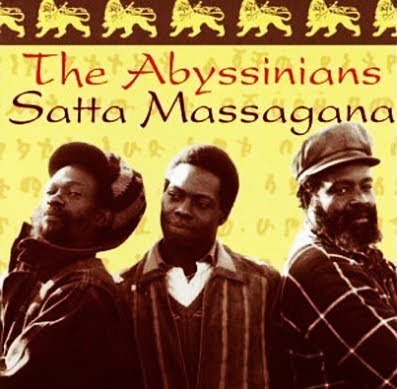 Premier album du trio jamaicain The Abyssinians, Satta Massagana est un album culte, plein de bonnes vibrations et de croyances pures envers Jah. Nous pouvons retrouver une superbe version de Declaration of Rights où les frères Manning et Bernard Collins nous enchantent de leux voix douces. Certes, les 14 titres ont le même tempo,tous ceux qui ne captent pas les vibrations du roots reggae diront que tous les titres se ressemblent, ils oublieraient que le reggae est une musique spirituelle à souhait et qu'il faut savoir capturer ses vibes, et oui, chaque titre est différent!.C'est en effet toute la philosophie musicale du reggae que l'on retrouve dans cet album. Un album que nous ne conseillerons pas aux non puristes reggae mais à tous ceux qui savent apprécier le reggae à sa juste valeur... tout comme nous.. Some argue that the reputation of this release rests on the fact that it was created by the first Jamaican artist other than Bob Marley to compose songs that were written specifically for an album. Before Marley, Jamaican artists didn't have "albums" as a rule. If a singer had enough popular singles they might be rereleased together on an entire record later, but albums were rarley made. The difference with Burning Spear (Winston Rodney and his back-up singers, Rupert Willington and Delroy Hinds) was that the strength of his music was never with singles. 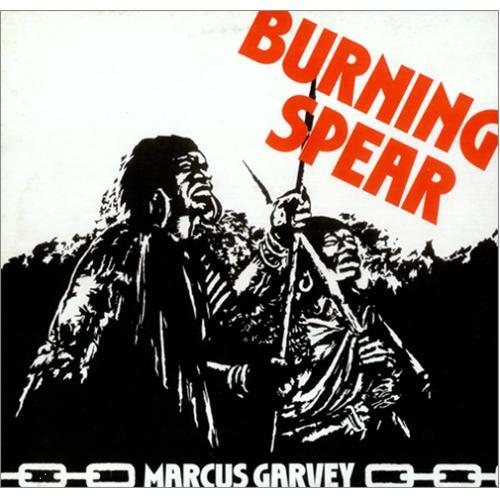 A Burning Spear song by itself didn't mean as much until you put it in a group of Burning Spear songs. It was with albums that Spear would gain his popularity and here was his first big breakthrough. It was a huge success in Jamaica and afterwords, Spear was signed up with Island Records until he gradually reached international fame. This album may not be for everyone. The music is jerky and old sounding. The tracks are short and often repetitive. But there's something ethereally timeless about this set. The music seems to transcend space and time to make us beleive that it's always been there. As if Winston Rodney brought it with him from his premortal existance to be shared with the world in our present day. Perhaps I was going through a transitional period in my life when I first heard it, but anything Rodney ever did afterword (even if it was just as good or better) would never feel like this. It is truly a unique masterpiece. P.S. The accompanying band, "The Black Desciples" also deserves mention in helping Burning Spear accomplish this unequaled acheivement.